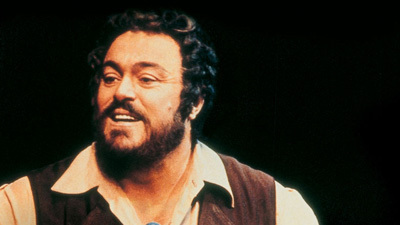 John Copley’s colorful production, with designs by Beni Montresor, was created around the beloved superstar Luciano Pavarotti. 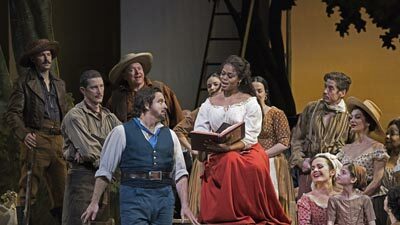 As the simple, good-hearted Nemorino, he enchanted audiences with his larger-than-life personality as well as his golden voice. 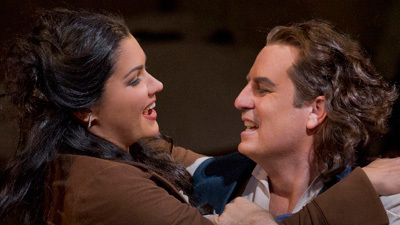 Enzo Dara as the quack Dr. Dulcamara provides the elixir of the title that helps Nemorino win the heart of Adina, the girl of his dreams, sung with youthful energy by Kathleen Battle.